July 6, 2015 – The 2015 Student Intern Rocket Launch is scheduled for Saturday, July 18. 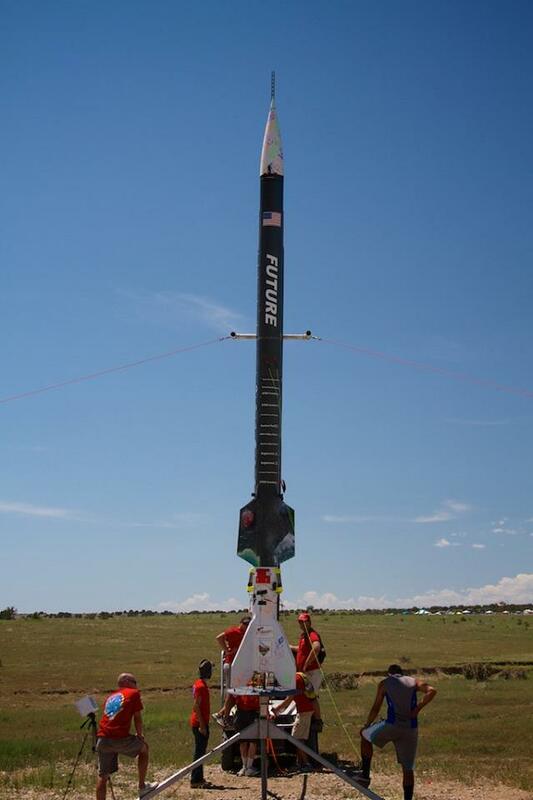 Three high-power sport rockets – including the largest to launch from the state of Colorado – will blast off from a launch site just outside Pueblo, Colorado, and travel thousands of feet into the air. The rockets will carry 17 payloads, which include a test of solar-powered descent, air quality measurement, and parachute experiments. The Student Rocket Launch will showcase the work of students from kindergarten through graduate school. ULA interns design, build and launch the rockets, while interns from Ball Aerospace design and build the four largest payloads. K-12 student teams applied to build 13 smaller payloads. The payloads can be almost anything the team dreams up, within certain parameters. Some of the payloads deploy from the rocket after launch, while others collect data as the rocket descends. Participating interns have just eight to ten weeks to construct the rockets and payloads and quickly gain experience with basic rocket concepts, manufacturing techniques, payload integration and launch procedures. United Launch Alliance and Ball Aerospace mentors provide guidance for the high school students and provide a unique opportunity for an educational, hands-on class or group project. Students are encouraged to come watch their payload blast off at the end of the summer. The largest rocket, the Future, is more than 25 feet tall and will launch approximately 9,000 feet above the ground. Dozens of other sport rockets will also launch throughout the day. Spectators can get a close-up view of the rockets from 8:30-9:30 a.m. MDT. The launches are slated to begin at 10:00 a.m., with the final ULA launch taking place at noon. The Student Rocket Launch is free and open to the public, but an RSVP is required. After you RSVP, look for an email with the schedule, map/directions and further event information.